Gaijin Entertainment today announced that the critically acclaimed World War II dog fighting MMO, War Thunder, will be launching in North America on the PlayStation 4 next month, June 3rd, with 1080p supported. The developers also confirmed recent rumors that War Thunder will not be releasing on the Xbox One. 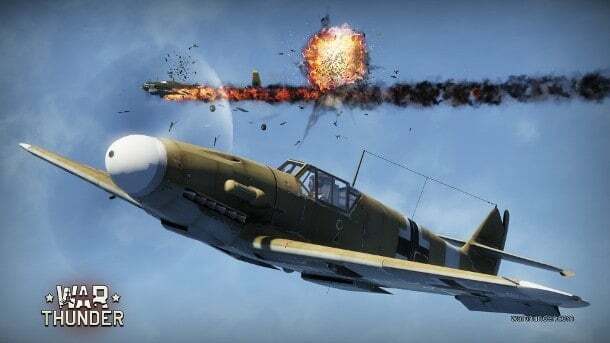 In a recent interview with Gaijin Entertainment CEO Anton Yudintsev said that this is because of an all too familiar problem with Microsoft’s policy of not allowing cross-platform play between PC and Xbox One, a vital component of War Thunder. The developers did state that the PC to PlayStation 4 cross-platform will not be available immediately but will be released in an update sometime “in the very near future” though they didn’t give an exact date or rough window for release. War Thunder will launch on the PlayStation 4 with over 350 unique planes, 150 multiplayer missions and an extensive single-player campaign – perfect for honing your dogfight skills. The game will also support the PlayStation Camera for head-tracking but will not be required to play the game.